Sounds almost too good to be true. Like so many foods that have gone in and out of fashion (eggs, butter and bacon, to name a few), we can now safely add chocolate to the list of foods we should eat for various healthy reasons – from decreasing risk of stroke to a slimmer waistline. That’s right. 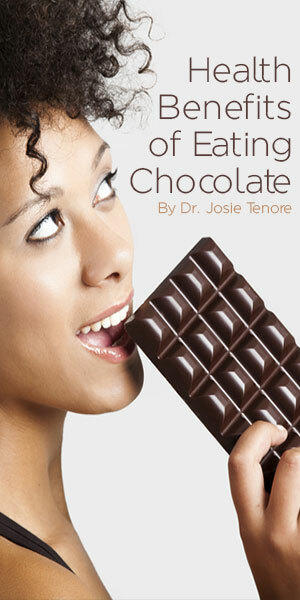 Eating chocolate can help with weight management. But… and there’s always a but… moderation is key. Chocolate is still rich in fat, calories and sugar, so you cannot treat it like a leafy green vegetable where the more the merrier. Instead you should limit your consumption to no more than a small square, perhaps twice a day. And the type of chocolate makes a big difference: The darker the chocolate the better, with pure, unadulterated cocoa containing the highest concentration of flavonoids (after raw cacao, which has more nutritional value, but a bitter and chalky taste). Flavonoids are those anti-oxidant rich phytochemicals found in green tea, apples and red grapes. Few of us could tolerate natural cacao without the addition of sugar and oils, but keep in mind that processing reduces the health benefits. 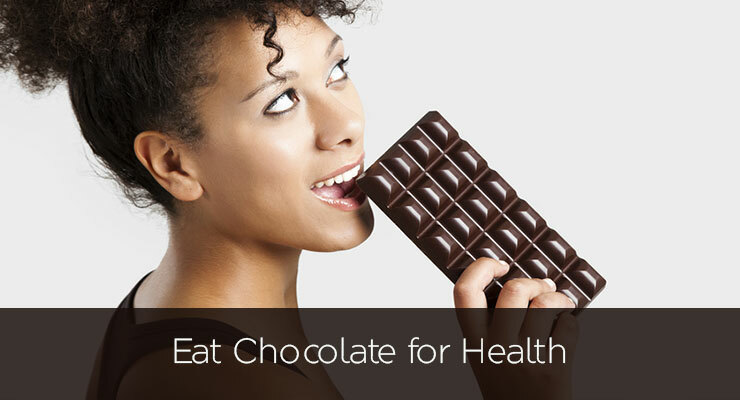 To reap the most value, skip the sweeter milk chocolates and reach instead for antioxidant-rich dark chocolate. We recommend that it have at least 60% cacao. Decrease cravings and reduce overall appetite. Moderate blood sugar levels and improve insulin sensitivity. Ward off free-radicals, the chemical culprits in cardiovascular disease. Aid muscle recovery. Epicatechin, a component of cacao found in chocolate, can improve muscle recovery and endurance. Protect the skin against UV damage (when consumed before exposure). Mind you, this is not an excuse to skip direct UV protection of the skin. So, unless you are on a strict medically supervised diet, or have cacao allergy, consider buying the highest quality dark chocolate and give yourself a daily treat! This is not a recommendation to binge or to reach for that Snickers bar. Moderation and the type of chocolate matter.